Weldon is an Associate with the firm, practicing in the firm’s litigation section. 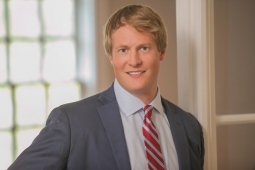 Mr. Jones joined the firm in 2017, after graduating from Campbell Law School. Prior to joining the firm in the legal capacity, Mr. Jones worked in the firm’s legislative representation section as a lobbyist. Weldon handles general litigation matters, and practices in areas including construction law, community association litigation, and commercial litigation. Additionally, he also continues to represent clients as a lobbyist before the North Carolina General Assembly.